If you are looking for a real brain-teaser to kill your spare time, then nothing could match the standards of Chess. It has been among the most preferred strategy-building games since ages. 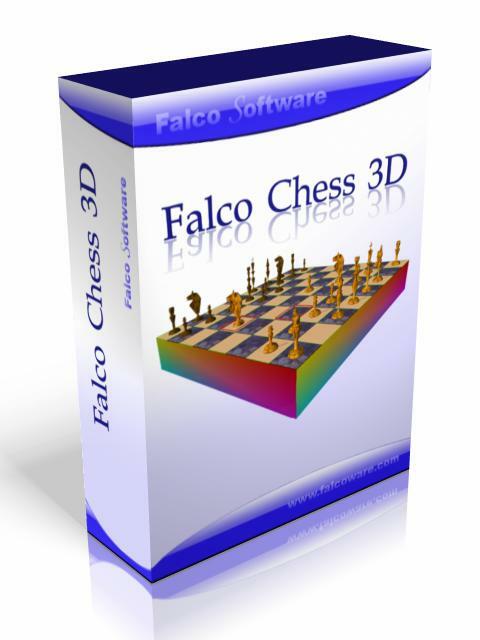 If you are looking for some challenging stuff in Chess, then you can try out Falco Chess for the purpose. The utility installs a Chess game on your system, and you can enjoy playing one player or two player chess game. It even provides you with undo/redo feature to play safely, and even you can save and load the game to continue further. You can enjoy the game in three distinct levels, namely, easy, medium, and hard. Falco Chess game presents a decent interface with the wide middle area set to play the game. When you begin with the new game, the White and Black pieces are shown all set for you to start playing. While go on with the play, it will simultaneously show the time taken by you and your opponent to play the turns. You can choose One Player game to play with computer and Two Players game to play other person. You can any restart, undo the turns you played and overview the complete game by playing it. Further, you can play the game with others by connecting to them through internet, and even you can connect to Chess Server easily. The 'View' button on the menu bar helps you to Reset Camera, Rotate Board and lets you select the View Mode to 2D or 3D. There are various graphical effects that you can enable or disable to make the changes to the graphics like sound effects, music, animation, mirror, shadows, timer, sky, etc. Even it's easy to save and load the game, as required. Features: 1. 3 Levels of smart engine power. 2. Playing via Internet or local Network. 3. Amazing 3D OpenGL Graphics and Animation. 4. Music and Sound effects. 5. Undo/Redo. 6. Save/Load. 7. Ability to play through game server. 8. 2D Mode is available also.